If you own an athletic field, a thinning lawn, or a lawn that has been infested by insects or fungus, slice seeding can help your grass grow healthy. 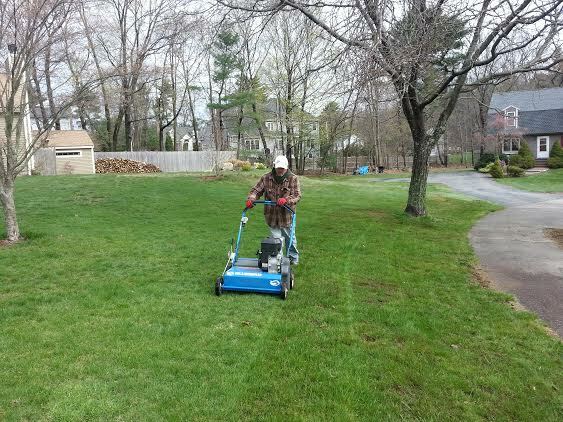 Slice seeding is used to either repair a damaged lawn or to improve a thin or weak lawn. Small blades create little furrows inside the soil, and seed are directly targeted into the soil; helping the soil grows fresh and prosperous. The slice seeder is programmed to slice the ground at the correct length for the specific seed type of fertilizer you are using, increasing the chances of fully reviving your lawn. After a slice seeding, it is important to maintain a steady watering schedule for three weeks make sure the seeds properly germinate. It is also important to keep your lawn short with regular mowing, as the existing grass can get too tall and shade the newly sprouting seedlings.